"This is not even close to my toughest challenge ever. 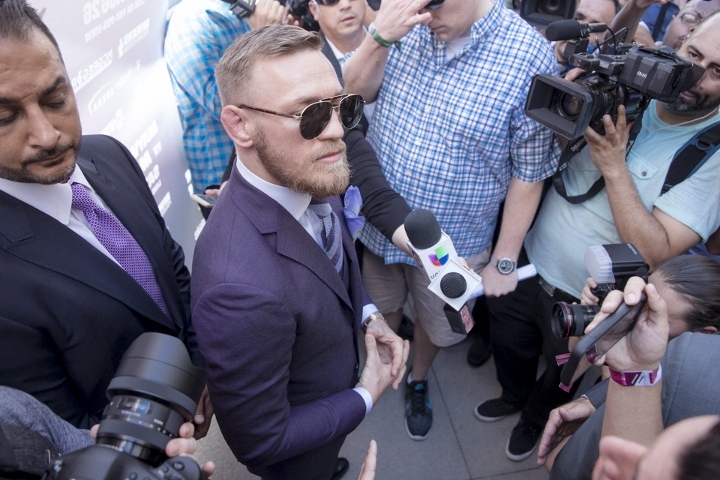 I will crumble him," McGregor said. youre getting seriously hurt on saturday night, youre going to be a laughing stock. the mcgregor aura dies forever. McGregor talking a lot again, and getting agitated. Saying a lot of nonsense and getting emotional. Like before, with everything he says, it just sounds like he's trying to convince himself. Where Floyd at? Oh yeah, being totally chilled.